After the superb excitement of starting the BM# 32 ABC Cooking with A, we had so much fun checking out all the Dishes with A. I must confess I would never have guessed any of those dishes prepared! All of them did such a wonderful job and surpassed my expectation. Kudos to the entire group! I am so proud of them. Now coming to the second letter B, I didn’t go very far to check out what I wanted to make. 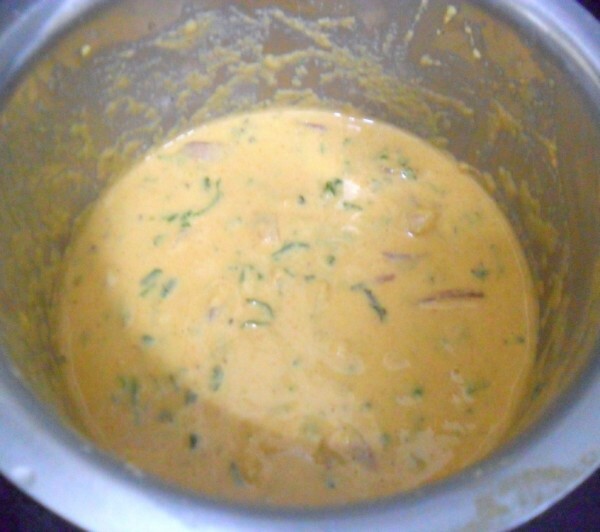 Since the time I had dosa mela, I have been wanting to make Besan Ka Cheela. Though I have tried many a times to make them, I always never came around. Especially after knowing that these are instant types, I wanted to make them so much. I am sucker for all things instant at times. It mostly depends and comes handy when I have to cook just for me. When I am really so tired cooking the non veg, at times I would be left with no enegry or no inspiration to think of something for myself. So times like those, really calls for dishes that are quick to make, yet very tasty! make this and cover up my B. Imagine that! cheelas have to be made. it was something we will surely be making it again soon. Water – 1 cup or as much as required to get a dropping consistency. In a bowl, except oil, take all the ingredients and mix to a thick pouring consistency, adding the water a little at a time. Grease a tawa with oil and heat. 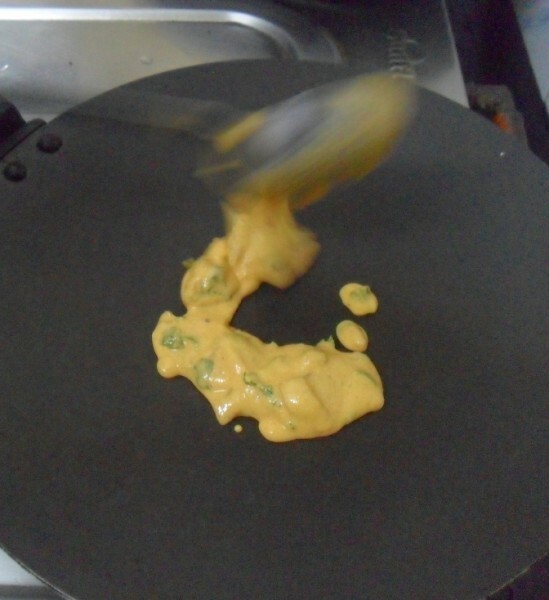 Simmer the flame to medium, pour the batter in a circular style and immediately spread to form a circle as dosa. Sprinkle oil around and lower the heat and let cook till the edges brown a little and can be lifted easily. Flip it over to cook slightly on the other side and before serving it hot with pickle. 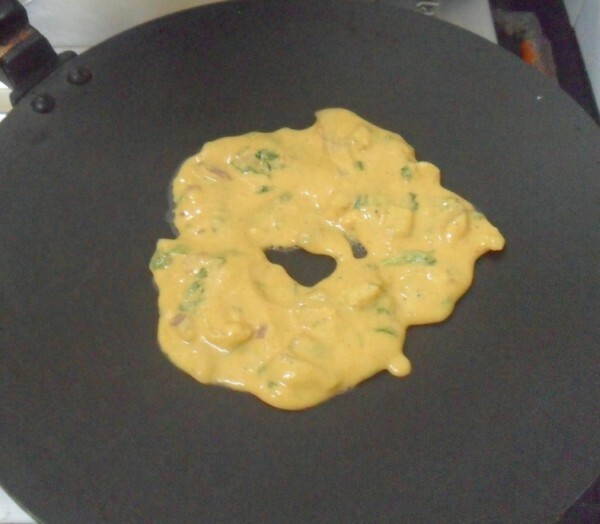 If the tawa is very hot, it might be little difficult to spread it quickly, so make sure the heat is medium. 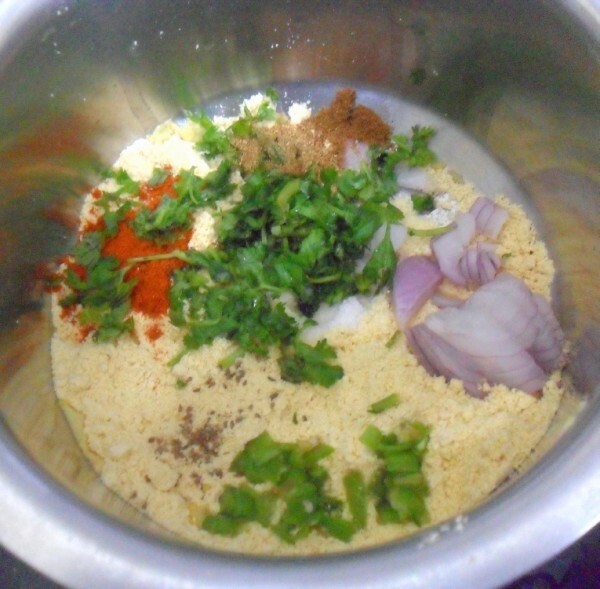 Also best method to make the dosa will be as circles and spreading it, rather than as the regular dosa. Apart from pickle, I am sure coconut chutney would be great as a side dish. 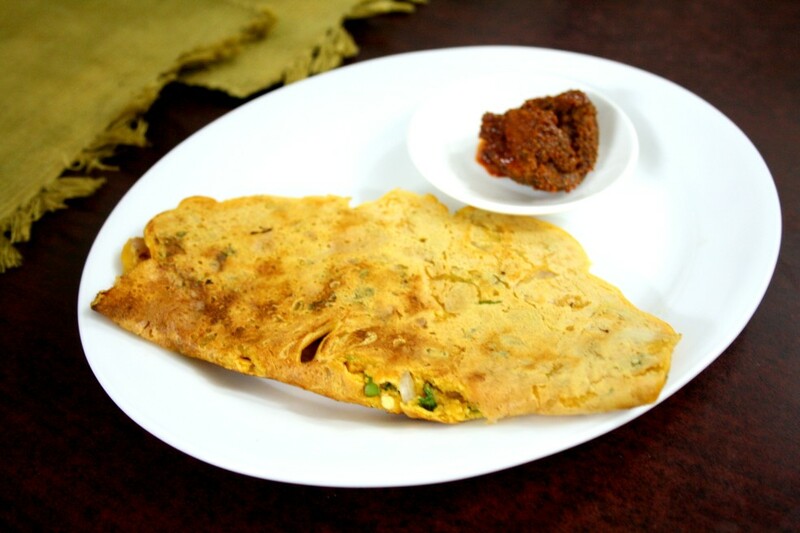 Love this besan ka cheela with hot chutneys, one of my favourite dish. Cheelas are actually Rajasthani..Gujratis make these but in a different style..Sindh's also make these and is quite a favorite among us.Quick, and delicious meal..we sometimes serve these with bread or chapati. What a quick and healthy cheela. Even I've been planning to make this for a long time. You've tempted me to make them soon. This is our most favourite breakfast dish is. A protein packed breakfast. This gets made at my home on lazy weekends. 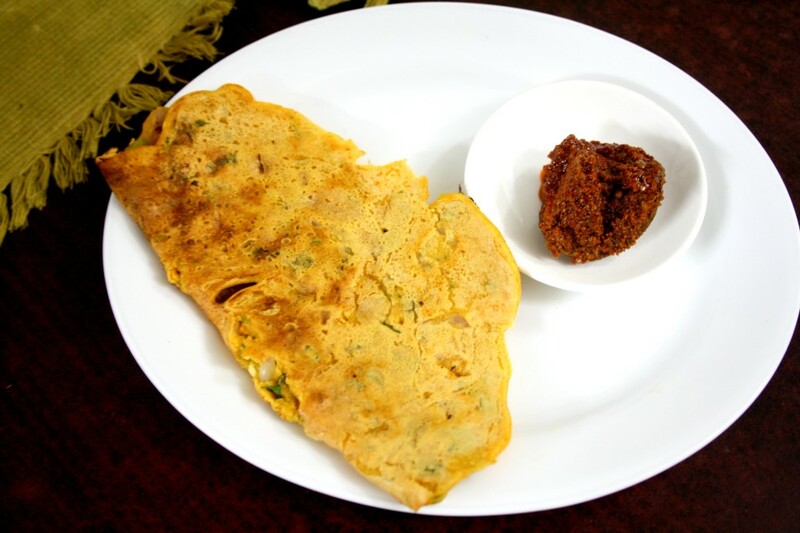 Cheela is one of our favorite breakfast dish that can be done in hurry! Yours tempting chela with that pickle made me hungry. One new recipe to me 🙂 looks so inviting similar to south indian adai right? Protein power… perfect for breakfast!!! 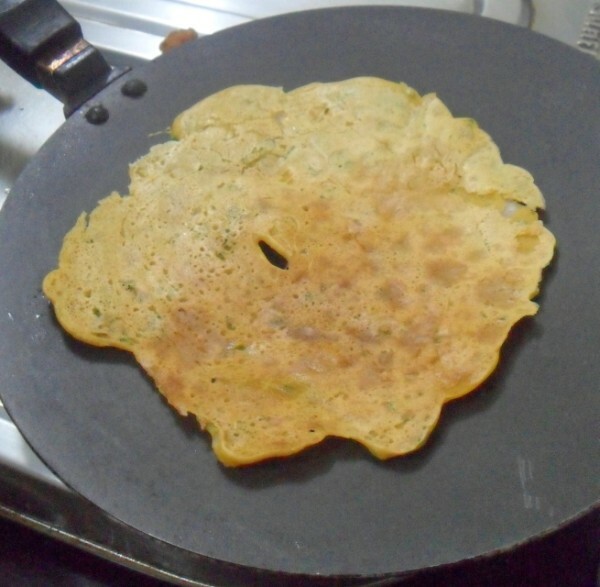 Love this besan ka chila.. mostly we prepare this chila in monsoon season with teas as mid time meal. so similar yet so much simpler than Adai ! I tasted this in Chandigarh once, and they are truly yummy! 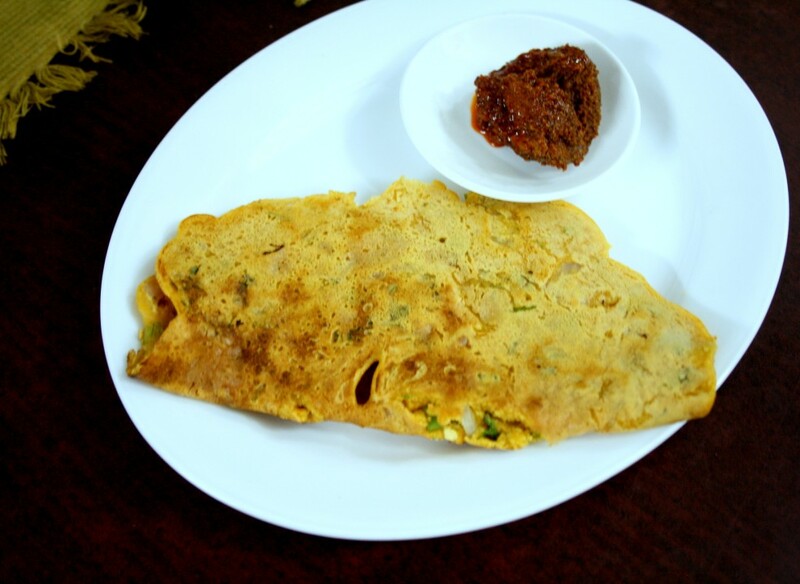 Love this protein packed instant dosa! Nicely loaded 🙂 I add cheese and paneer as a filling for these and they are a meal on their own. I call this vegetarian omelet the flavor is so similar taste good perfect dish for B yumm loving it. I remember the first time I had cheelas. They were topped with fine diced paneer and tasted awesome. These look so inviting and simple to make. Been on my to-do for so long. I better give these a shot soon! 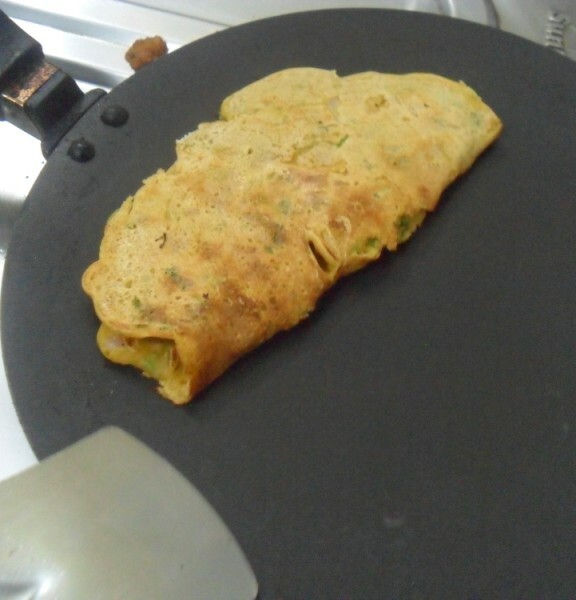 The recipe is very close to the vegetable omelette I made for last month's meatless dishes (but didnt get around posting it).It tasted great and I am with Konda on the bajji aroma :). I kept feeling that I should have bajjis after making those omelettes :)….Anyway..the cheela looks wonderful and now you have a reliable vegetarian option to fall back on!! Lovely cheela.. I make them with moong dal & love how they taste..
Long time since I made these. I add a little extra coriander for flavor. You have tempted me to make these again and I think this going to be our breakfast tomorrow..
Lovely recipe Srivalli! This is going to be in my menu one of these nights for dinner. Lovely pics Valli I have been wanting to make these for a long long time. Maybe these pics are my incentive. By the way do you remember the round circle that we kept under pots? The rings. maybe that can be used to make these circles. just a thought. I am still to try my hands in this recipe. best choice for a different breakfast. 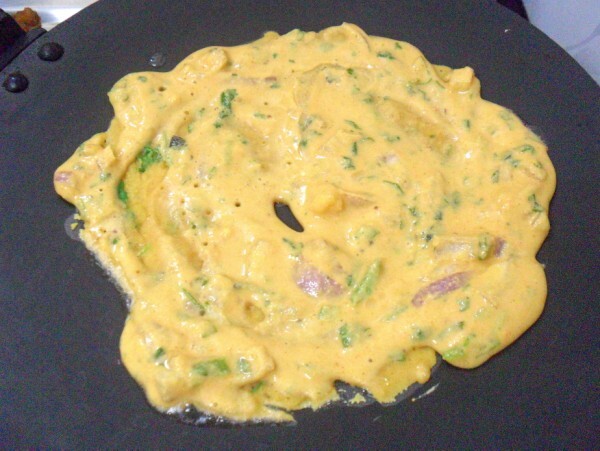 This recipe is very similar to Vegetarian omelet recipe which we do in our home. Only ajwain is not in our list.. Interesting to know other names of the same dish..Well prepared Valli..